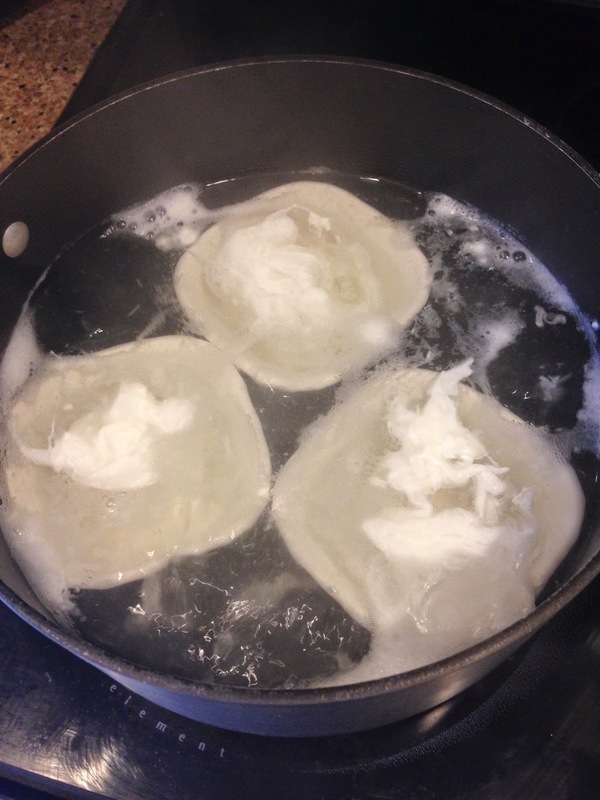 Running Toward Domestication: I poached an egg! On Christmas Day, Brad and I hosted brunch for Dad Ganey, sister (Shannon) and brother-in-law (Tim). Over the last several years, this has become our "tradition" ...but this year I wanted to take it a step further and make a gourmet meal. What I found amazing about Alton's instructions was that he suggests setting custard cups into the water (I used ramekins we got for Christmas from my sister). This helps keep the egg in place and it also lets you easily distinguish the order that you put the eggs into the water. Considering I was going to be poaching 9 eggs and I had never done this before, I was impressed with the way they turned out! 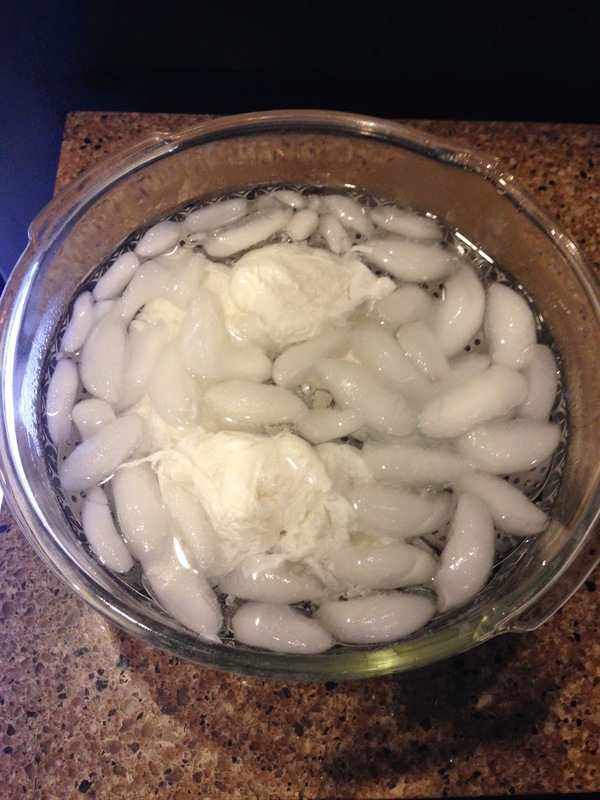 After cooking the eggs, I quickly transferred them to an ice bath (per Alton's instructions). This stopped the cooking process immediately and it also made it a lot easier to re-heat the eggs when it was time for brunch! I 100% suggest following Alton's instructions when attempting to make Eggs Benedict for more than 2 people. Brad did a superb job cooking the english muffins from scratch - the texture of the muffin with the semi-runny yolk from the poached egg was SO delicious! I made the bacon as our guests were coming in so the whole house smelled like delicious bacon. Bacon is my favorite. 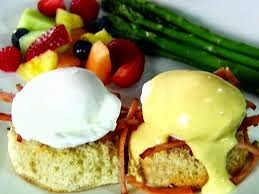 Our hollandaise sauce was another story. Although it tasted okay, it wasn't creamy and it had a little bit of grainy texture. 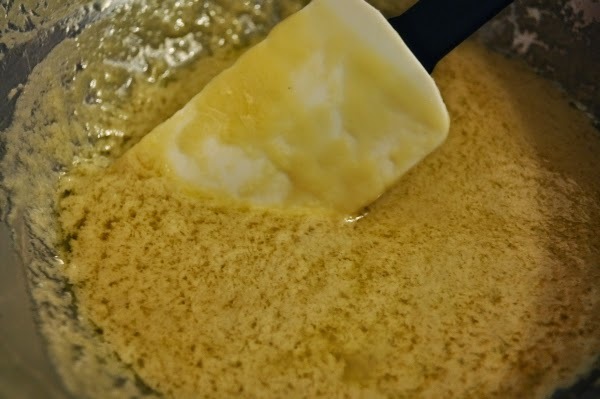 Its almost as if the butter separated itself from the lemon juice/egg mixture. After 30 minutes of "whisking the butter into submission" .... I have to say that the butter won the battle and my arms were TIRED! You see how its missing the creaminess? I will have to attempt this again! But our guests ate every bite on their plate! Maybe because they felt bad for me were hungry since we ate at 11am and our house smelled like bacon when they walked in ;) Ha! Although the presentation and hollandaise sauce wasn't Chef quality, it really was a delicious Eggs Benedict!